Enterprises continue to pursue strategies where they use more than one public cloud, but the drivers behind those initiatives are shifting from IT-related goals to business goals, according to a new report from workload automation vendor Turbonomic. Initially, public clouds like Amazon Web Services (AWS) and Microsoft Azure were embraced because of their infrastructure-as-a-service (IaaS) offerings, Turbonomic says. 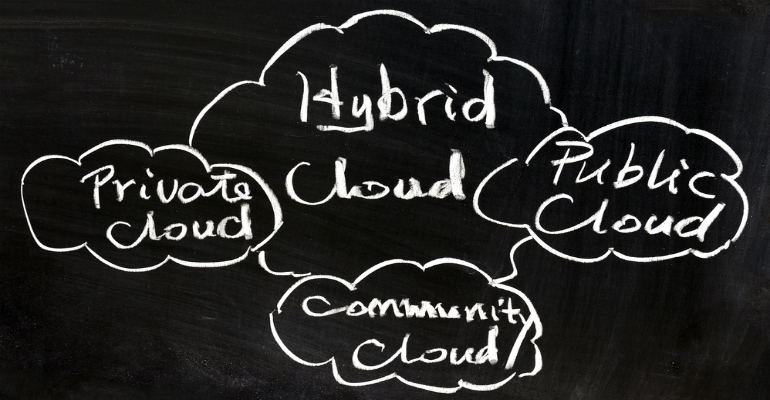 However, the survey, 2019 State of Multicloud, found that the push to use multiple and hybrid clouds increasingly is fueled by the need to leverage best-of-breed cloud services and ensure applications are available when needed. Eighty-three percent of respondents said they expect their workloads to move easily across their cloud environments. In addition, enterprises are increasingly adopting containers, microservices and cloud-native architectures that are key to taking advantage of what clouds offer. Emerging technologies such as artificial intelligence (AI) and machine learning promise more capabilities in leveraging the cloud. Turbonomic’s survey adds another proof point to the growing multicloud trend. It echoes similar studies by other organizations that found enterprises are migrating applications and workloads to a range of public cloud providers while also growing their own on-premises, private-cloud environments. A survey earlier this year by network analytics technology provider Kentik found that 58 percent of respondents said they were using more than one of the three largest public cloud providers: AWS, Azure and Google Cloud Platform. In another report, Flexera found that 84 percent of survey respondents used more than one provider. For its survey, Turbonomic surveyed nearly 850 IT professionals and line-of-business executives. On average, respondents said they use an average of almost two cloud providers, driven both by the desire not to be locked into a single provider and also to be able to choose the best services available regardless of the provider. Not surprisingly, most – 55 percent – said they use AWS, which has long held a dominant position in the fast-growing public cloud space. However, the survey also saw what others have found — that Azure is making up ground on AWS among enterprises. In the Turbonomic report, 52 percent said they are using Azure, while 22 percent pointed to Google Cloud. In its RightScale report, Flexera found that 61 percent of respondents were using AWS – a drop from 64 percent in 2018 – while 52 percent were using Azure, a jump from 45 percent the year before. 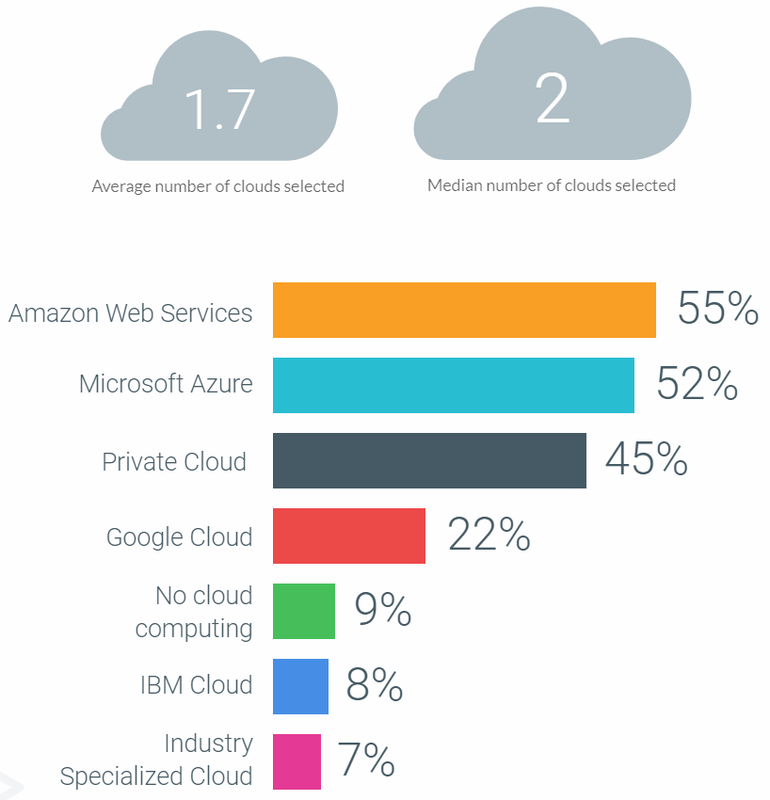 IBM Cloud and specialized clouds also were mentioned, but AWS, Azure and Google will continue to dominant the space, according to Asena Hertz, senior product marketing manager at Turbonomic.